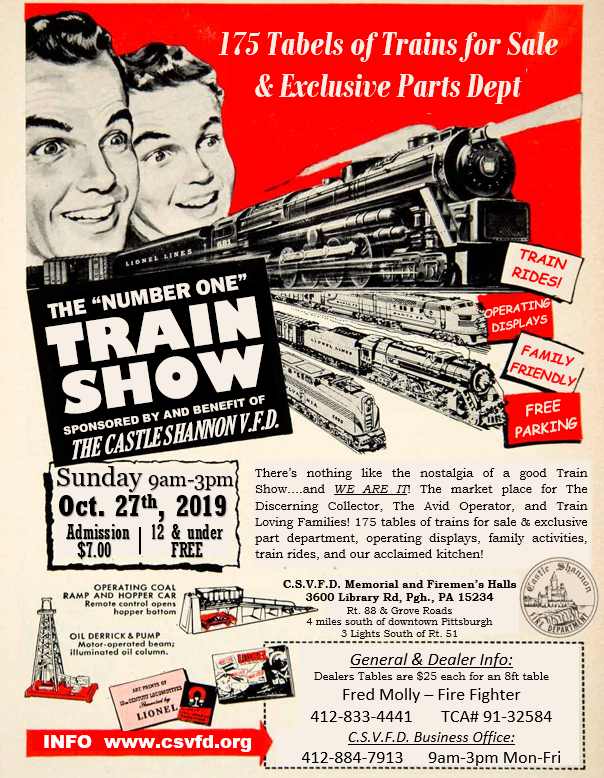 The Fire Department of Castle Shannon presents our Train Show and Rail Event. Adults $7, under 12 – free. Three halls, 175 tables of trains. Free parking, two full kitchens, operating displays, & train ride for the kids.